I am going to give you a system that is going to help impact how your keyword research is conducted, how it’s implemented into content, and I believe, impact the results you’re going to get from that keyword research. 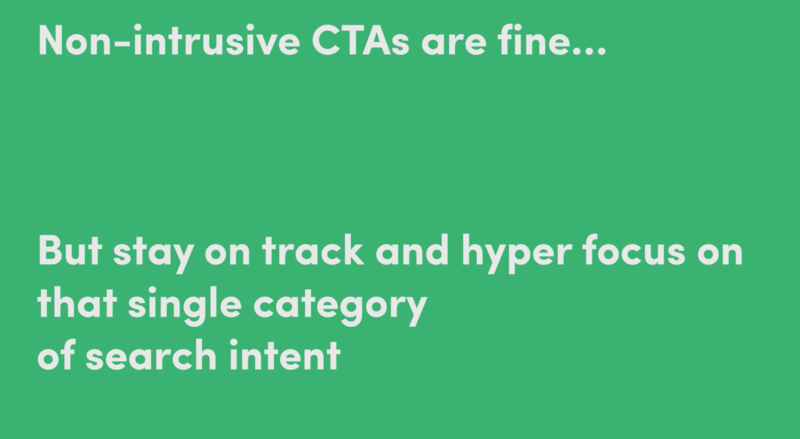 Essentially, there are four categories of search intent. 1) Navigational searches – someone searching for Twitter support or looking up Facebook. 2) Informational searches – who, what, when, where, how type searches. 3) Commercial investigation – someone looking for unbiased reviews or maybe looking through Amazon reviews or Yelp. 4) Transactional searches – someone at the end of the buying cycle looking for free shipping, or buy it now, or products near me. I will give you a practical example of what I’m talking about as we walk through each of the steps you need to take. This is like defining your head term. I have Googled ‘beard oil’ as an example. Once you have done that, you need to move to step two. Simply click into the search box and look at what Google is showing. You can see here they are displaying ‘beard oil reviews’ and that is what? Commercial investigation. You get a star. ‘Beard oil growth’– that is more in the informational how to. Then here is your transactional and you maybe even could consider this navigational because they are trying to get somewhere specific on a specific site. What does this tell us? This, you will see, play out on a lot of the head terms, and the head term is essentially something very broad, not very specific. Google does not actually know what your intent is, so it is kind of giving you a little bit of everything. You will notice that. It may be product focused. Here is some pricing, here are some products, there’s advertising on the page. The first result though is informational. 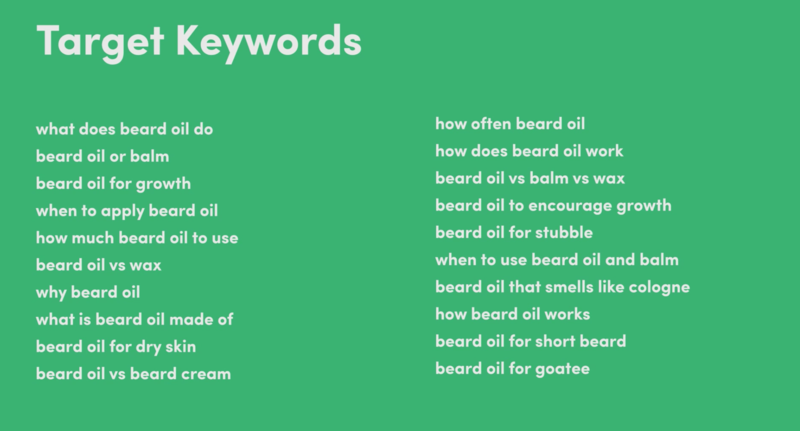 It is saying ‘what the heck is beard oil?’ ‘How does it work?’ The very second one is kind of an eCommerce site. It is a little bit all over the map, and you will notice that Google does this with a lot of head terms. You now want to hone in on your results for the specific category that you are going to try to make content for, and do keyword research for, and optimize for. In this case, we are going to look at informational. We are more interested in this article than we are of this product-focused transactional content. Let’s take a look at a more specific informational keyword. I have ‘what does beard oil do?’ Notice there are no ads. The results are all informational. There is a featured snippet here that is informational from the Huffington Post that result where it was ranking number one. It is the same one, but now they are displaying the information differently because of search intent. None of this is complicated, but once you get this ingrained in how you do keyword research and how you match this up, it is going to make a massive difference. I’m looking at this– I see that these informational searches are probably the way I want to go, and I want to kind of match up with what is out there right now that is doing well in the top 10 and top 20 on Google. Use Answer the Public— It is a free keyword tool. 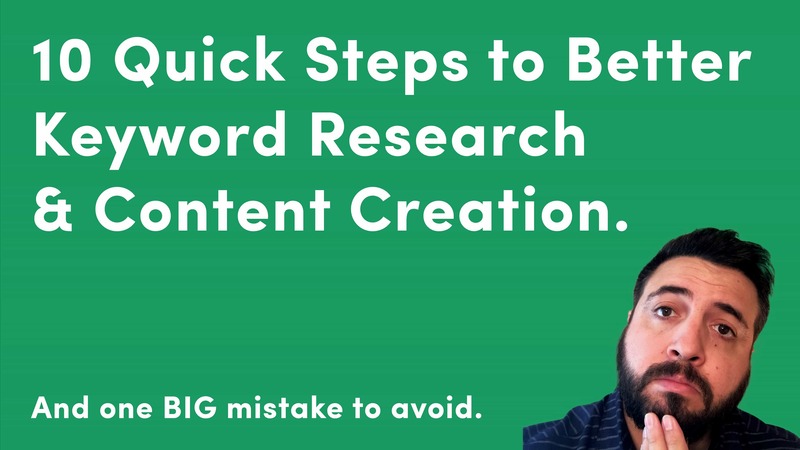 If you are not familiar with it, you should check out my free keyword research video. I tested out a ton of free keyword tools and this is one of them. 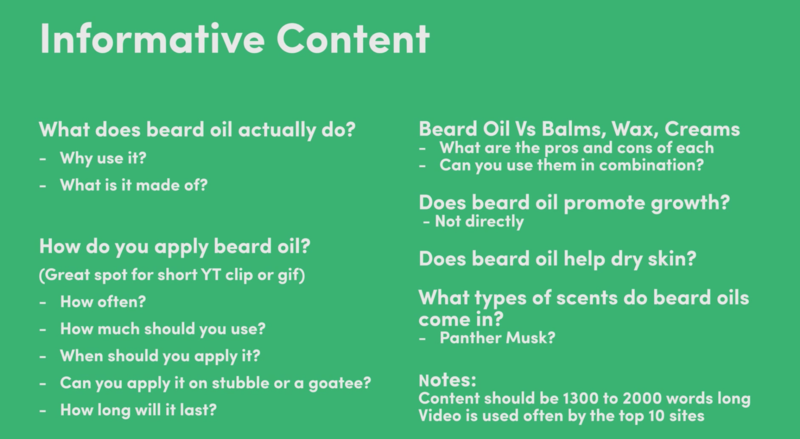 I have put ‘beard oil’ into Answer the Public. It is going to show me all the questions and propositions that are being asked around my head term, ‘beard oil’. This is where you are going to get a lot more informational intent. All that kind of stuff is in here. What I want you to do is export your list to a CSV. We are going to analyze the keywords in bulk with another free keyword tool, Keywords Everywhere. If you have a paid tool, go ahead and use that too. I am just showing you some free options, so you have them. I just took all the prepositions and all the questions from Answer the Public, and then I pasted them into Keywords Everywhere. 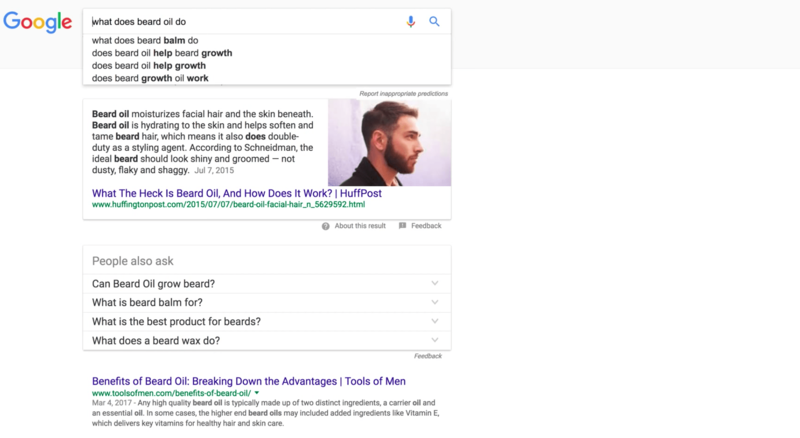 In my results, you can see one of the top searches is ‘what does beard oil do?’ People are asking about growth, things like that. Create a keyword list that aligns– and this is key, that aligns exclusively with your search intent category. ‘Beard oil near me’, that is a mobile search. It has nothing to do with your search intent that you are optimizing for. ‘Beard oil for sale’– That is transactional. 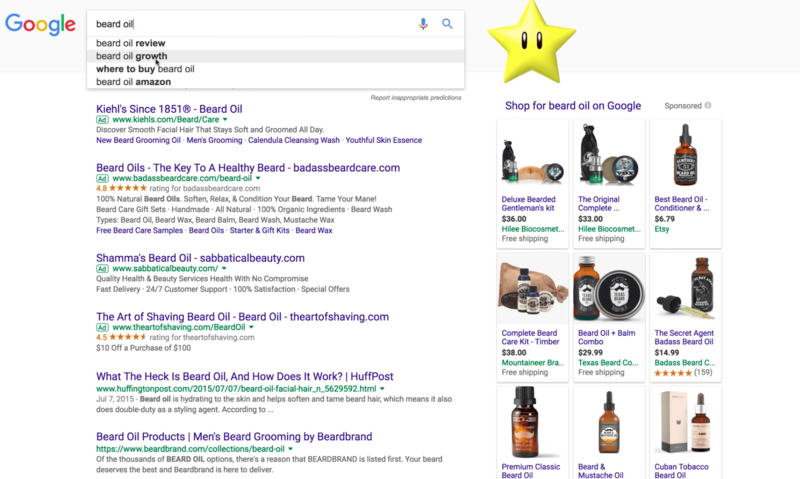 If it was the ‘best beard oils’, that is commercial investigation looking for reviews. You are going to remove all of these keywords that are not informational. Do not try to do too much with one thing. Hyper-optimize on informational search intent if that is what you’re going for. You are going to end up with is a list like this– These are the target keywords that I grabbed, that are informational. I have removed all of the things we just talked about, the research ones, the commercial ones. All that is gone and this is what we are left with that has traffic. This is where everybody tends to make a mistake. They take this keyword list and they hand it off to their copywriters. It is not the worst thing in the world to do. You are giving them a lot of direction, but you are not going to like the result you get, and I don’t think Google will either. It is just human nature that they are going to try to shoe horn in these keywords everywhere, and 99% of the time it does not work. What you are actually going to do is use the remaining keywords to create a rough outline. This is nothing groundbreaking. It is a very simple outline. I am telling my editor, “Hey, we’re going to do informative content.” Instead of giving them keywords, I am giving them the outline. You can see that I’m saying, “What is this?” This section is going to be ‘what does beard oil actually do’ and then I want you to kind of address why you would use it?, What’s it made out of?. Then I am going to have a section on how to apply it, how often, how much, how long is this going to last me? Again, these are all from the keywords, but I am presenting it to the editor so that it is much more about just answering those questions and intent that the searchers have. I am going to try and make one great resource that Google can look at and go, “Wow, if I send people here and they are in the information stage and they are gathering information, this would be an amazing resource, because it hits on everything.” Because Google knows what they are searching too. Now you do too and you can match it to your content. I have this whole list out, then down at the bottom, you will notice that I have the content and video suggestions. You want to get the average content length of the top 10 results to kind of approximate the depth of your content. You do not need to be so specific, like, “I used SEMrush and looked at the top 10.” They said that was an average. They had about 1,200 to 1,300 words. Don’t get too caught up on it. Just use it as an approximation. If you don’t have a premium tool like SEMrush, or something similar, you can literally just visit each of those pages, copy out the body content and paste that into a Google doc, and collect all that, and then get your average for free. Hand the outline, not the keyword list to your editor. Don’t even let them see the keyword list. You are going to get much better content back, and they are going to be writing for the user and not for keywords. 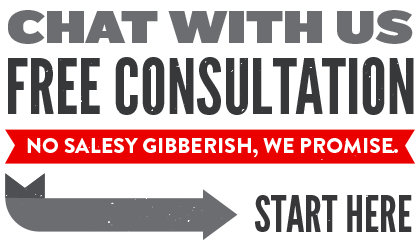 Make slight optimization changes before you publish. Tweak that a little bit to make sure that it is nailing everything that you want, but do it at that stage. You are going to have much better content. I promise if you implement this and you just start thinking about it, like, “Okay, wait a minute. This article is straying into transactional.” It really should not. Now could you have a CTA in this for a free trial of your beard oil if that was the case? Sure. In general, just do not try to mix them up too much. If you want to have one that is a review, then go all out on that. Have a staffer review 10 beard oils and give their take on it and that kind of thing. Hopefully, this video gets you thinking in this mindset, and I really believe that it will help your end result. I know, it has helped mine. Hit me up down the comments. I’m very active and I usually try to respond to every single one. Subscribe, like, hit me up on Twitter, all those things, and I’ll see you in the next video.